Recoleta Cemetary— a must see. This is where Evita is buried along with anyone who is anyone in Buenos Aires. El Caminito— Small area in La Boca. It’s very touristy and you’ll only need an hour to see it, but it’s worth checking out. MALBA— The Museum of Modern Art is a great thing to do with a rainy day. It’s not very big. You probably need 2 hours. Museo de Bellas Artes— Has works by Picasso, Degas, lots and lots of famous people along with old Argentine artists. Not well organized, but lots of interesting work. Palermo Soho— GREAT shopping. Lots of handmade clothing with up-and-coming fashion designers. And most of it is super cheap. Great way to spend a morning/afternoon. And right by La Cabrera, so maybe shopping then refill with steak? 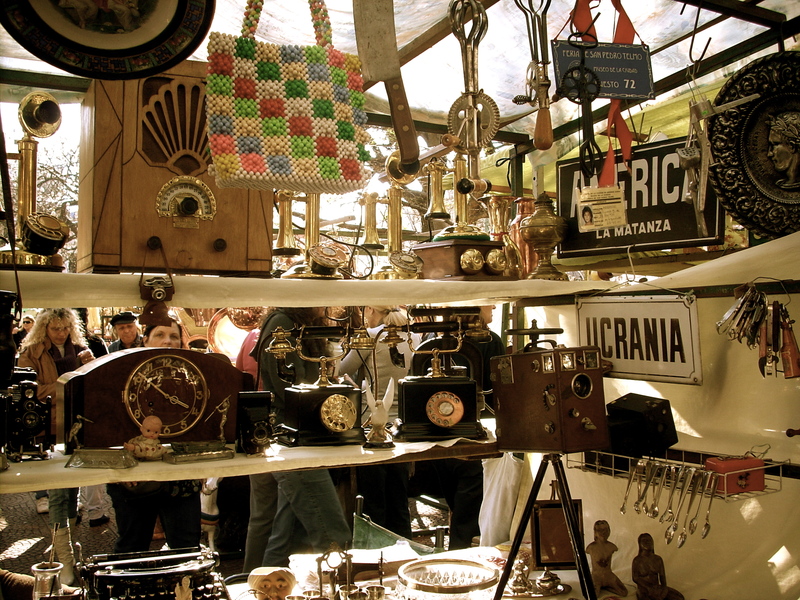 San Telmo fair— Every Sunday there’s the San Telmo Antiques fair. It’s a MUST. Go down to Plaza Dorrego and just wander. You’ll find some amazing things. Osaka (Peruvian Asian fusion): http://www.osaka.com.pe/osaka_in.htm. Had one of the best meals of my life here! 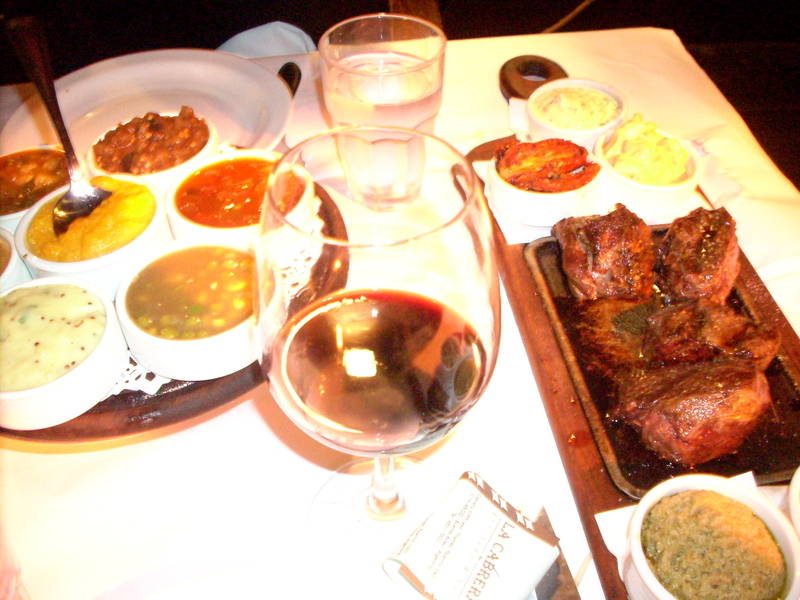 DesNivel— Parrilla in San Telmo. Super cheap and super yummy. Just don’t expect any frills. Felix— One of the most unique dining experiences in the city. Cumaná— My personal fave. Can’t find a better deal in town. Try the batata con choclo, miel y nuezes (sweet potato with corn, honey and nuts) for a mere $14 pesos ($4), or the cazuelas. I recommend the lentil cazuala or the one with pumpkin, cheese and corn. Mmmm. Really, you can find good food anywhere. Lots of handmade pasta, empanadas, pizza, tons of salad and tartas (veggie pies).